Bridge Brass is very excited to participate in a very special concert to be presented April 13, 2019. A newly formed Society, the Songs For Hope Society has been founded for the purpose of, among other things, using the medium of music to inspire philanthropy in support of local research dedicated to treatments for cancer . Proceeds will be fully directed to the research work on cancer currently being pursued at the University of Lethbridge. The format of this unique event is to present the performance of a wide range of brass musicians and offer a different kind of opportunity for everyone to donate or support the performance event with all proceeds going to the University research department working on cancer cures. Musicians include faculty, Conservatory, L.S.O. and many other brass talents. 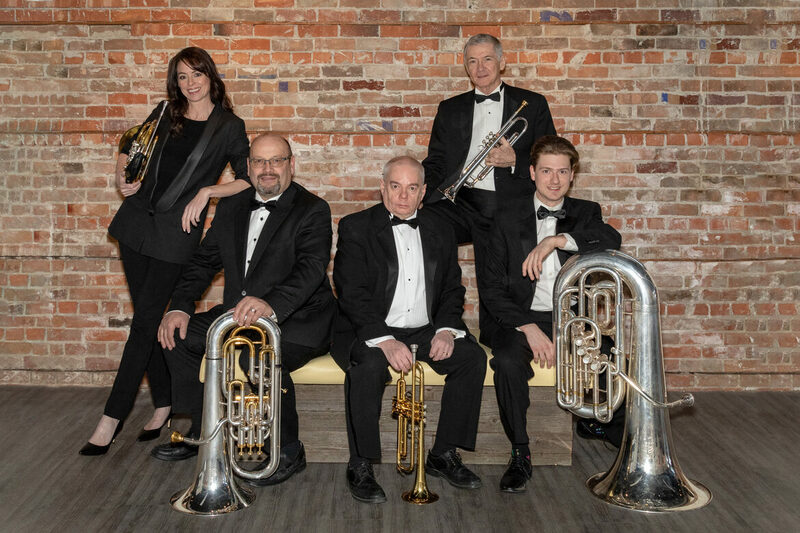 Bridge Brass and a larger brass ensemble will share the stage with vocalist Anna McBryan and our special guest , Canadian Brass, alum, and special guest trumpet virtuoso, Jens Lindemann. This event has been modeled after the highly successful U.S. fundraising event CancerBlows under the leadership of cancer fighter, Ryan Anthony. Ryan is also a former Canadian Brass member, where he and Jens Lindemann spent many years together . They continue to collaborate musically and since 2014, in support of this type of initiative. In 2018 Ken and Don met in San Antonio with Jens and Ryan. With Jens on board to perform and with Ryan's blessing we are permitted to model our local fundraising event after CancerBlows . The newly formed non-profit organization Songs For Hope Society has named it CancerBlast 2019. Both CancerBlast and CancerBlows are musical performance events dedicated to brass players 'blasting' cancer off the map. Online tickets and opportunities to donate will be underway at the end of February 2019. We are grateful to the many brass musicians donors and others getting on board with this concert event. If you have been touched by cancer in some way - this is an evening for you to help do something about 'the cure'.